You'll find Sevendials close to Covent Garden. Seven streets of independent boutiques, famous brands, traditional English pubs, bustling cafés and some of the best restaurants London has to offer. Fun stores alongside the better known hip chains include Diesel, Poste Mistress, Coco De Mer, Orion London, Baracuta, Fred Perry, Adidas, Murdock London, Kiehl’s, Orla Kiely, and MAC. 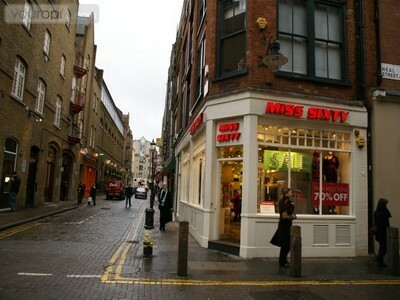 Sevendials is a little shopping treat in the heart of this tourist area. You wander here in search of unusual, trendy fashion accessories. Stop for lunch or dinner, there's lot of nice restaurants and cafes to choose from. Explore the shops in the small side roads, including Neal Street.